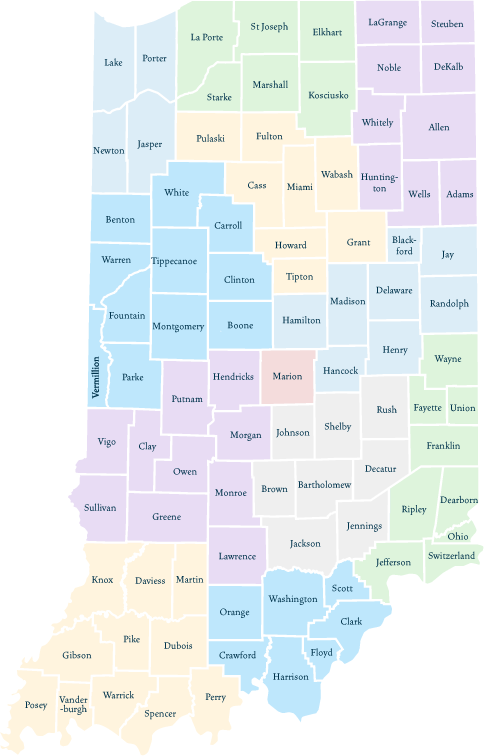 Legal help in Indiana is organized into districts. Click your county on the map to find legal help in your district. If you’re not sure what county you live in, scroll down to the search box to find your district by city or zip code instead. Use the Search box to find your district by county, city, or zip code. Click on your district name to find legal help in your district.